Resonance, intervals, brainwaves, binaural beats, organ, cells, color, bones, coherency, etc. Treatments with acupuncture points, tissue, color, chakras, tendons and soft tissue, elements, etc. 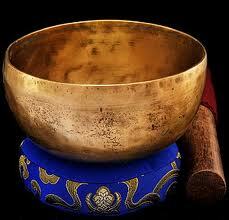 Sound Healing is the use of, and exposure to, sounds from all types of sources. The science of Cymatics has proven the effects of sound influence on matter. Through the universal laws of vibration and resonance, sound can stimulate shifts of consciousness and influence physical structures and tissues. Vibrational instruments can stimulate changes in mental, emotional, physical and spiritual states. This can often lead to reversals of conditions and a clearing of energy blocks, that might restrict the flow of life-force energy and information. At Cypress Health Institute our emphasis is on the use of sound and the use of vibration instruments for physical, emotional, and energetic healing. Our primary mode of treatment and application is with the use of tuning forks, though other methodologies will be explored. This class focuses on the science of sound and sound healing theories with practical application thechniques. The class covers the basic theories of sound and acoustics, and also various aspects of music and the scientific theories of sound that are used as a basis for sound healing applications. Live and recorded examples of sound and music are examined together with their underlying effects. The overtone and undertone series of natural sounds found in nature. Tuning systems for therapeutic purposes based on acoustic overtones and undertones. Principles of acoustic resonance, sympathetic resonance, beat tomes, difference tones and summation tones. Musically opposite tones – reciprocals and inverses. Tri-tone pairs for tonal balancing. Natures Fibonacci number series and the body’s Golden Mean proportions. Musical intervals and their psychological/emotional meanings and associations. Micro-tonal musical scales and frequency windows. Color conversions from light to sound. Frequencies for balancing brain waves. The octaves of audible sound – application of specific musical octaves. Cymatics – the science of sound influencing matter. This class specifically uses Tuning Forks for application and practice of sound healing. Tuning Forks are used on and around the physical body for energetic Bio Field Balancing and clearing of energy flow blockages. Both the physical body and the supra physical bodies are addressed and specific Tuning Fork protocols are demonstrated, taught and practiced, to foster competency with practitioners. Complete protocols are taught for addressing Chakra energy vortices, for balancing, clearing and empowerment based on ancient and contemporary understandings. 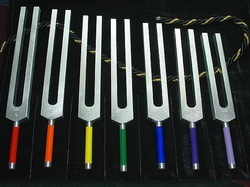 Tuning Forks are used as finely tuned resonant instruments for stress reduction and proactive subtle energy advancement. The components of Tuning Forks, different types of forks and their uses for sound healing application. Direct body applications of Tuning Forks to clear energy blocks and to stimulate the natural life-force. Blue light healing techniques to stimulate cells inner light force combined with Tuning Forks. The basic color systems and their sound equivalents (light converted to sound). 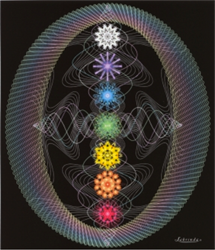 Basic Chakra system balancing with Tuning Forks. Organ and gland systems associations with sound. Essential oil used to enhance sound for deeper energy clearing. Clearing a therapy room with Tuning Forks. Clearing crystals with Tuning Forks. Breathing techniques and visualizations that enhance sound healing effectiveness. 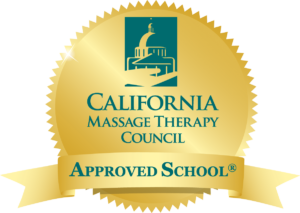 It is recommended that the student be versed in some form of bodywork and have had basic knowledge and training in anatomy. 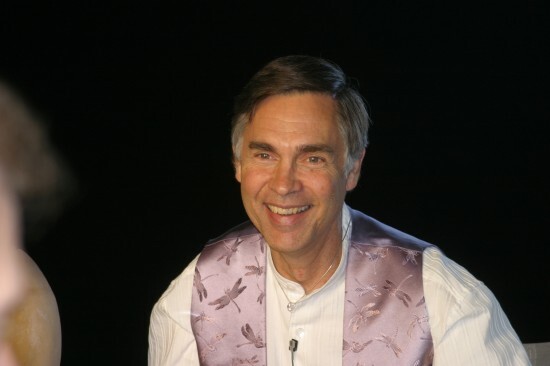 Taught by Randy Masters, Ph.D.
Students will review and learn the anatomical structures of the body and how to locate landmarks of the body for sound healing treatments. normal versus abnormal-hyper and abnormal-hypo responses. Palpation skill and sensitivity development. Learn dynamic palpation and the difference between static and motion palpation. Learn to evaluate common indicators of dysfunction. Dynamic integration of the physical, mental, emotional and energetic bodies through vibrational instruments.